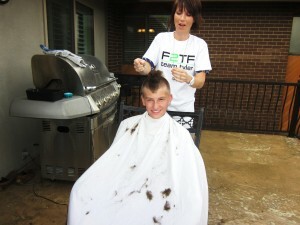 Everywhere we look, we see shaved heads and mohawks! It is so cool! I know we say this all the time…. but WOW!!! What an amazing support system Tyler has!!! We are so so so blessed to have such amazing people in our lives. What would we do without you?? It means the world to Tyler to see all of your support. It is the best medicine for him and will help him to fight even harder against this cancer. 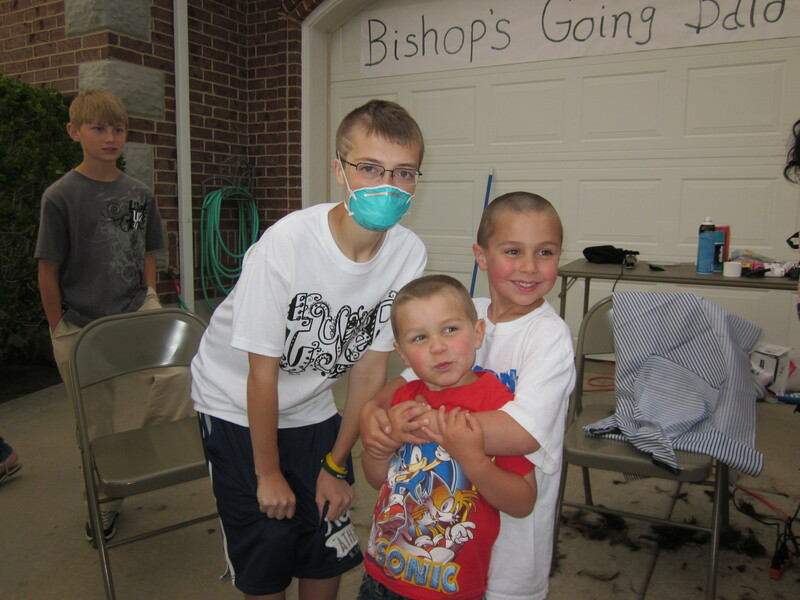 Tyler’s diagnosis has not only changed our family, but our whole entire community. We know that this trial will bring all of us closer together. Friendships and bonds will be formed that will never be forgotten. We know it is not coincidence that Ty has cancer. It is a whole lot bigger than that and we may not understand it entirely in this life. 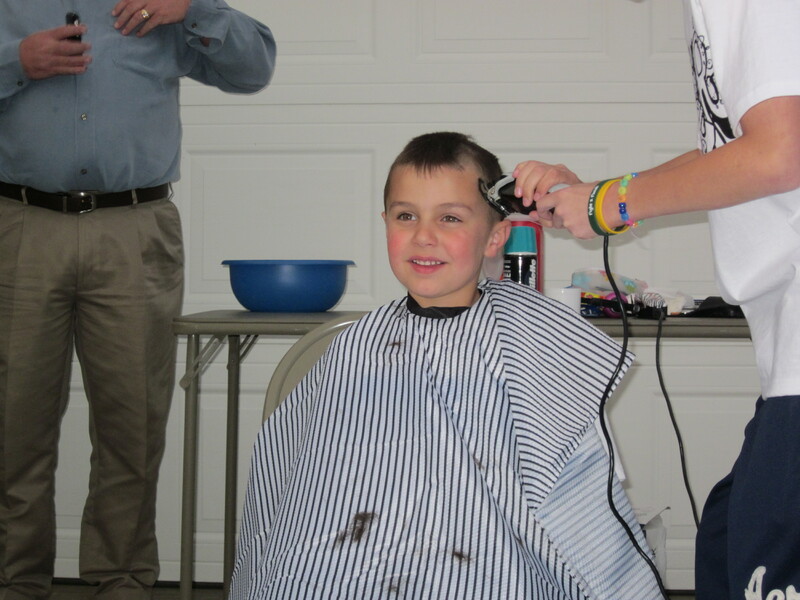 What we do understand is that Tyler is a very special boy with a very special mission and he has been blessed with a very special group of people to help him complete his mission. We love you and simply cannot thank you enough for your love, prayers, and support. Shouldn’t we all have this attitude? Whenever I catch myself complaining, I have to remind myself of Tyler’s comment. There are people who have harder trials than we do. We should always be grateful for the good things we have in our lives. 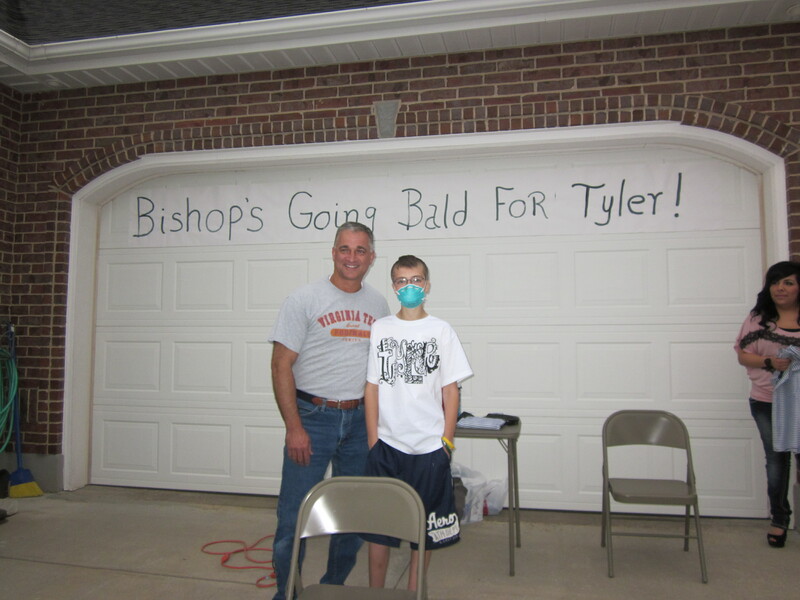 If Tyler can have such a positive attitude with cancer, I can have a positive attitude as well. Ty, you are our hero. Bishop Dutton is letting Tyler shave his head! Is he the coolest or what? 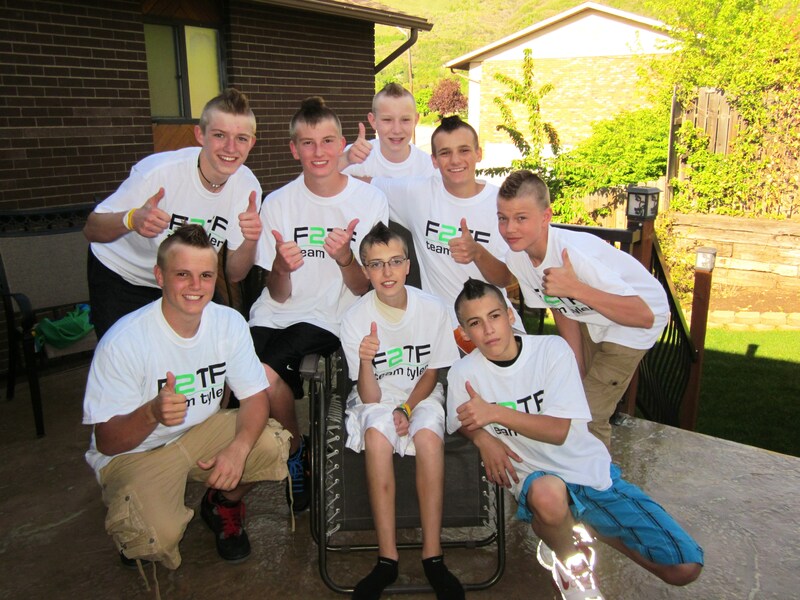 This event will take place tomorrow (June 1st) at 7:15 pm on the bishop’s street (3025 North in Layton). 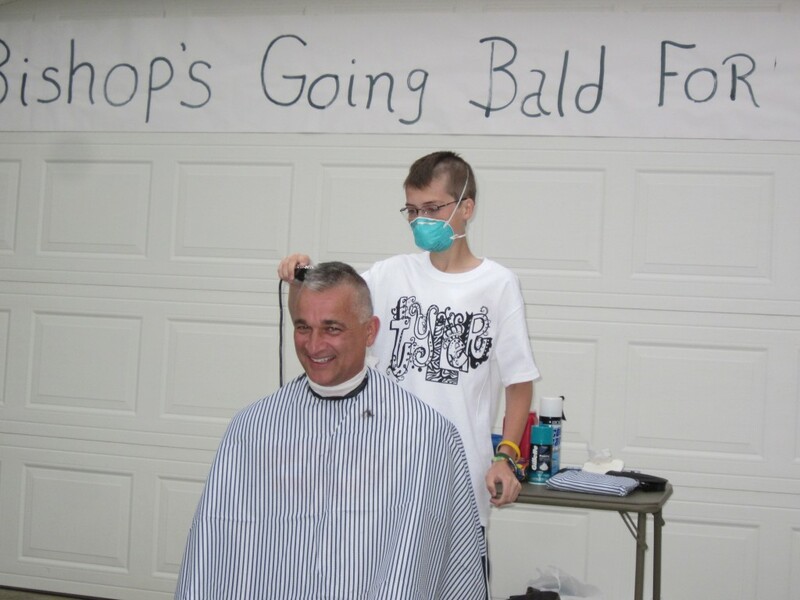 Bishop Dutton wants you to know that there is a very important reason for him going bald. Everytime you see him, it will be a reminder to hit your knees and pray for Tyler. We are so blessed to have such a wonderful and caring bishop. He has been an answer to our prayers. We love you bishop Dutton! We couldn’t have asked for a better weekend! I guess the weather could have been nicer…. It certainly doesn’t feel like almost June! Can you believe all of this rain? Tyler has been feeling great! It has felt almost “normal” around the house. On Friday, Ty really started to perk up. He was finally eating! A HUGE relief! 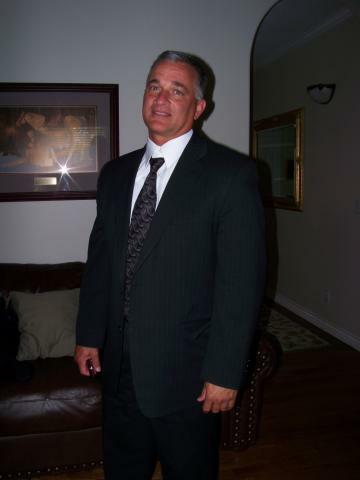 I think he may have informed everyone on Facebook that he weighed 74 lbs…. He is now at 79. Our uncle said it best- 79 lbs of pure fighting machine!!! He is still the toughest kid we know! 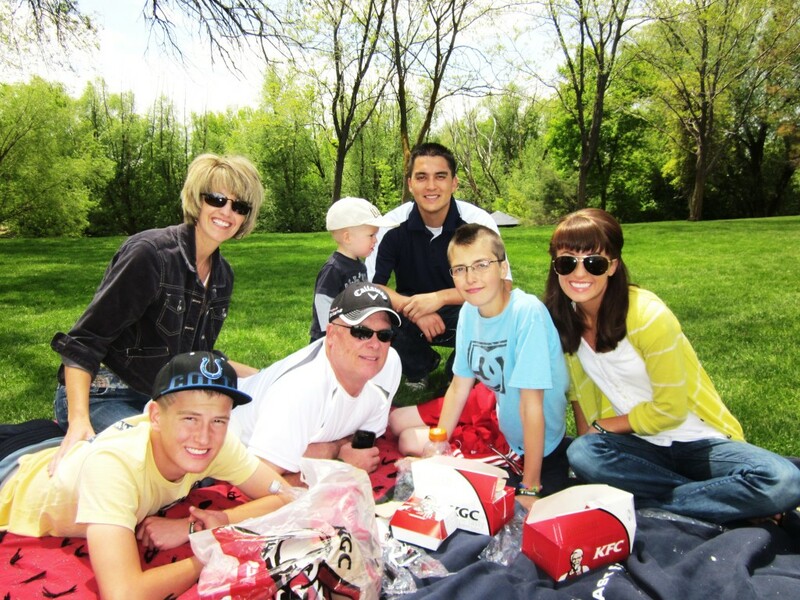 On Saturday, our family had a picnic in the park. It has become somewhat of a tradition seeing as how we went 4 times last week! Tyler craves KFC everyday so that is what we all eat! 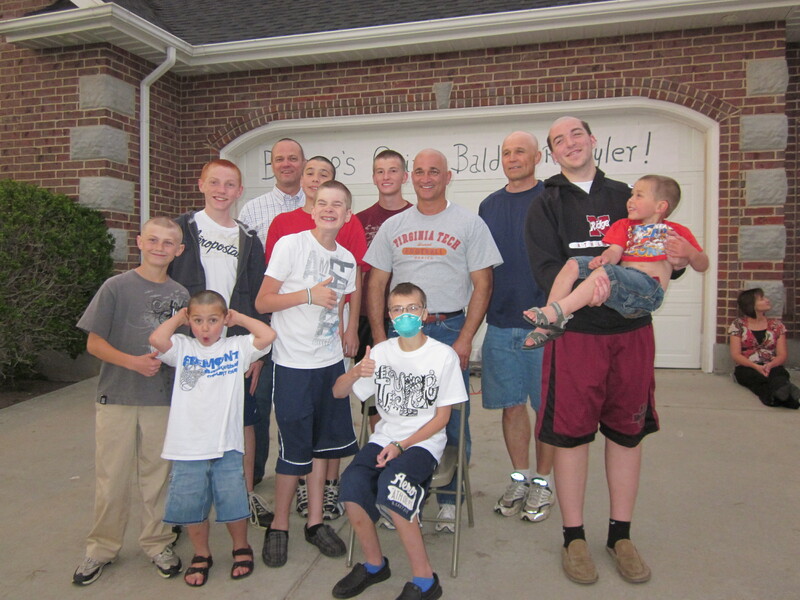 Yesterday was by far the best day our family has had since finding out Tyler has cancer. Tyler was back to his normal and funny self. He was eating, smiling, telling jokes, and making fun of our dad. For a brief moment, I forgot that Ty was sick. It was so nice to escape for a minute and forget about everything that has happened in the past 2 weeks. 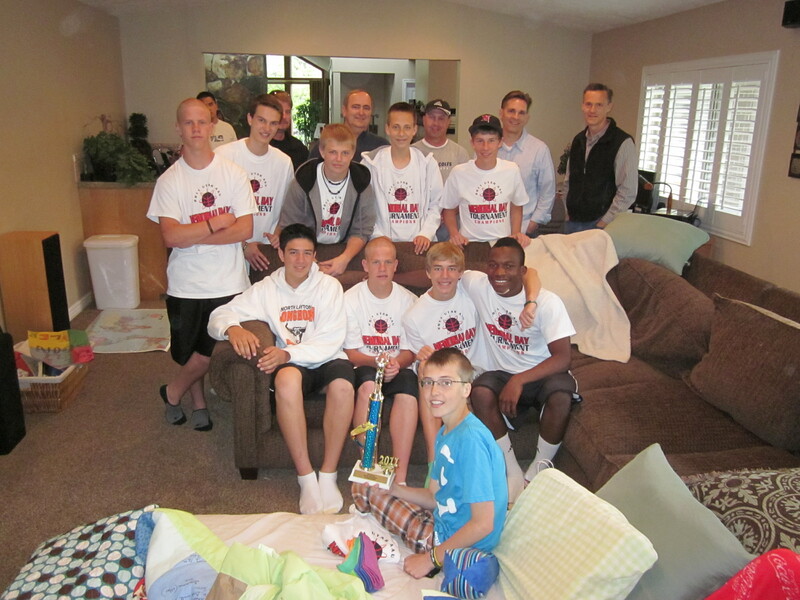 Ty’s basketball team also came over yesterday. Ty was so excited to see them. They brought over the trophy they won in their tournament. Congrats boys! Thank you to everyone who helped Ty have a great weekend. Seeing his friends is truly the best medicine we could ask for. We thank you for your continued prayers and support! Our lives have been changed forever because of the kindness that people have shown to Tyler and our family. We know that Heavenly Father hears our prayers for we have truly felt his presence in our lives. Becky, thank you for everything you have done for our family. We love you so much. This trial would be much more difficult without you there to give us words of encouragement! Thank you will never be enough… You are an angel. This morning when Tyler woke up, after an almost perfect night, we both were discussing that it had been almost sixteen hours since he had thrown up. I was so happy that he finally was able to keep some food down. He matter-of-factly told me that he had been texting with Bishop Dutton yesterday and told him that he hadn’t been able to keep anything down. Our sweet bishop told him that he would pray right then for Tyler to be able to stop throwing up. Coincidence? We all know better. I had no idea that those two have been texting each other. Tyler knew all along that the prayers of our sweet bishop would work. What a lesson today for me to be more specific in my prayers. So far, I have been pretty general about my prayers for Tyler to be healed from this cancer. I know Heavenly Father is listening, but I also realize now more than ever that Heavenly Father stands ready to answer even the smallest of requests. Our family will now pray for specifics all along the journey – being so grateful for His hand in our lives all along the way. I cannot express enough thanks for the love and kindnesses shown to our family the past two weeks. Thank you will never be enough. We will forever be changed by this journey and have no doubt that our Heavenly Father is with us every step of the way. Please know how much we love you all! 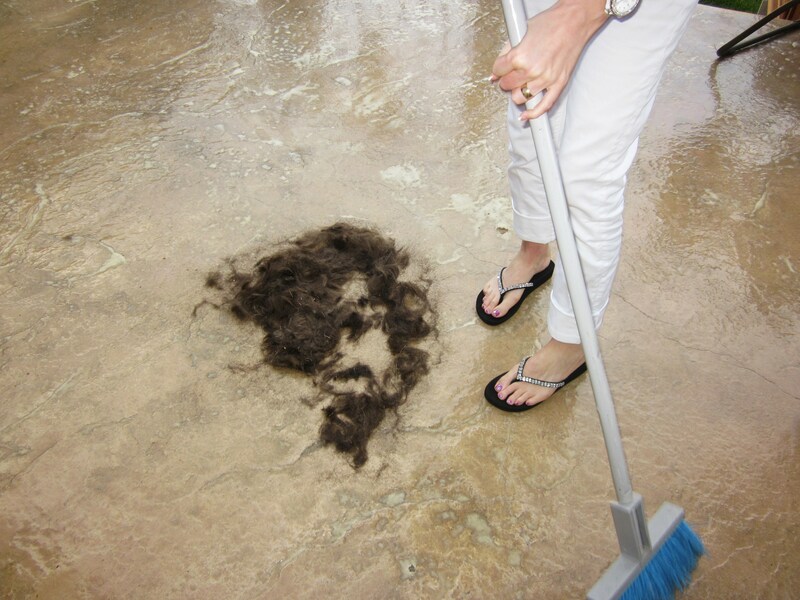 No mohawk for Erika….. Sorry! Whitney, Erika, & mom. Yep we’re tough. Thanks Erikson’s for a fun night. It really lifted our spirits and made Tyler smile! We love you. ps. aren’t our shirts awesome???? Tyler has now been home for three days! It has been a little stressful trying to figure out our new life at home with Ty so I apologize for not posting sooner. We all decided that this is our new “normal” and we better start getting used to it because we have no idea how long this road is going to be. Tyler has been pretty sick… It’s hard to watch him be so miserable. He can hardly keep any food or drink down. We don’t know if this is still the effects of the Cisplatin/Doxorubicin, or this new pill that he has to take everyday. 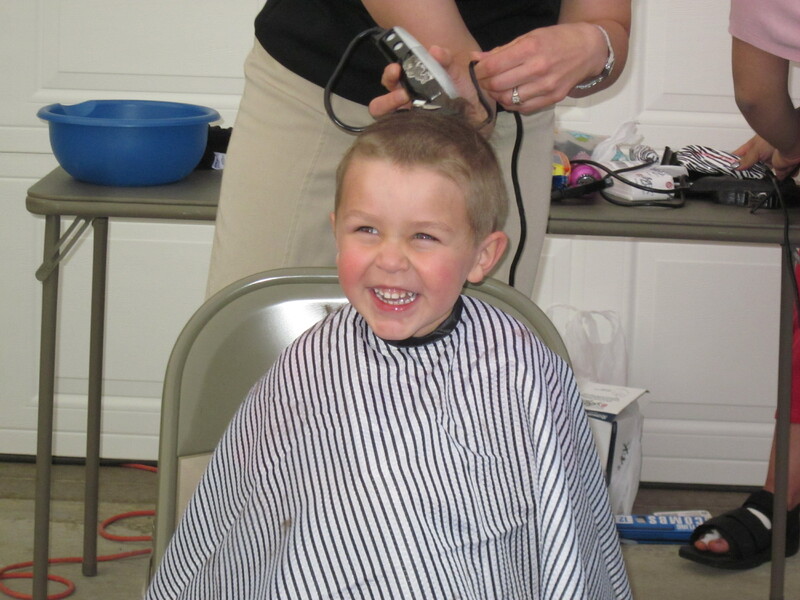 Tyler’s treatment consists of two chemotherapy infusions (Cisplatin/Doxorubicin) at PCMC over the course of two days, and then a chemo pill for three weeks. After 21 days of the pill, he will go back for round 2 and start the process all over again. Chemo is not fun. End of story. Even though Tyler is having a difficult time eating, he is still fighting, and knows he has to eat in order to gain back his strength. He is trying to eat as much as he can even when he knows it will most likely come back up an hour later. Another side affect of the chemo is that it can ruin your taste buds…. Tyler says everything tastes gross. He does like oranges though! I had the opportunity to be with an amazing brother-in-law for the majority of the day today and wanted to share a few thoughts I had while being there with him. First, as many as you know, the Smith family is one AMAZING family. When you think of an ideal family you often will think of a family that is full of love, humility, forgiveness, charity, faith, spirituality and fun. Those who know, think of the Smith family. What a blessing it is for me to be a part of such an incredible family and with them, my heart aches for my “little brother”. While it is so difficult to know that we cannot physically do anything for him to take the cancer away, it is comforting to know that the Lord is near; Tyler couldn’t be in better hands. For the time I was with him, he indicated that he was basically pain free. When the iPad wore him out, he was able to sleep for almost two hours. When he woke up, he was feeling a little nauseous from the last bit of chemo that is still in his system but was eager to take a walk. The nurse unhooked his IV for a few hours as they try to transition him to how he will be when he goes home. He was excited to get out of his room and we went for a long walk together! The longest walk he has taken since his surgery. When he first stood up to walk out he said “man, I feel really light!” Referring to the fact that he has lost some weight this past week. On May 15th, 2011, our lives were changed forever. Learning that you or a family member has cancer is something that words cannot explain. We were shocked and terrified. And yet, it has brought our family closer than we would have ever imagined. Our love for each other has multiplied tenfold. We have come to understand what is really important in life. I know that this is why Heavenly Father gives us trials. He gives us trials to teach us and to help us grow. He knows what is best for us and he knows what we are capable of handling. After this week, I know that there is nothing more important in this life than family. 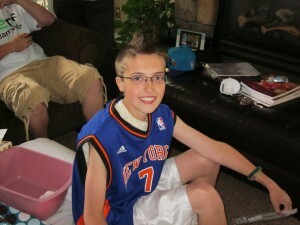 On Sunday, Tyler was taken to the Emergency Room at Mckay Dee Hospital with severe stomach pain. We thought that his appendix had ruptured. A CT scan was ordered at around 10:20 pm that night to determine if Tyler had appendicitis and needed surgery. After a long wait, the results came back. There was a very obvious problem, and it wasn’t Tyler’s appendix. It was cancer. Tyler was taken down to Primary Children’s Medical Center the following morning to meet with an oncologist. 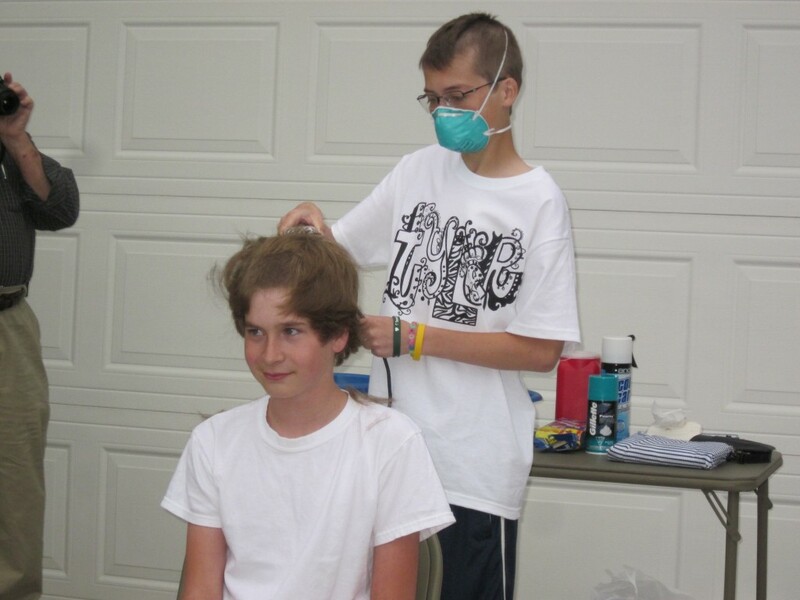 After more scans and tests, it was confirmed that Tyler indeed had cancer and it had spread to most of his organs. Surgery was scheduled for the following day to biopsy the tumors in order to determine what kind of cancer he had. Surgery went well. The doctor was able to get the biopsy she needed. Tyler was cracking jokes right after surgery and we all felt a little better now that it was over with. We still didn’t have any answers though. The Doctor told us that it would be a few days before the pathology results came back. Only then could they tell us what kind of cancer it was, where it originated, and what stage it was in. We knew we would have to be patient for a few more days. We were surprised when the Doctor came in with the pathology results the following day. We weren’t expecting them for at least two more days. The news was not what we wanted to hear….. Tyler had a rare and serious form of liver cancer called Hepatocellular carcinoma and it had spread to most of his vital organs. They believe that Tyler has had this cancer for about 18 months. Many of you are asking how someone can have cancer for 18 months and not have any symptoms. Believe me, we are asking ourselves the same thing. 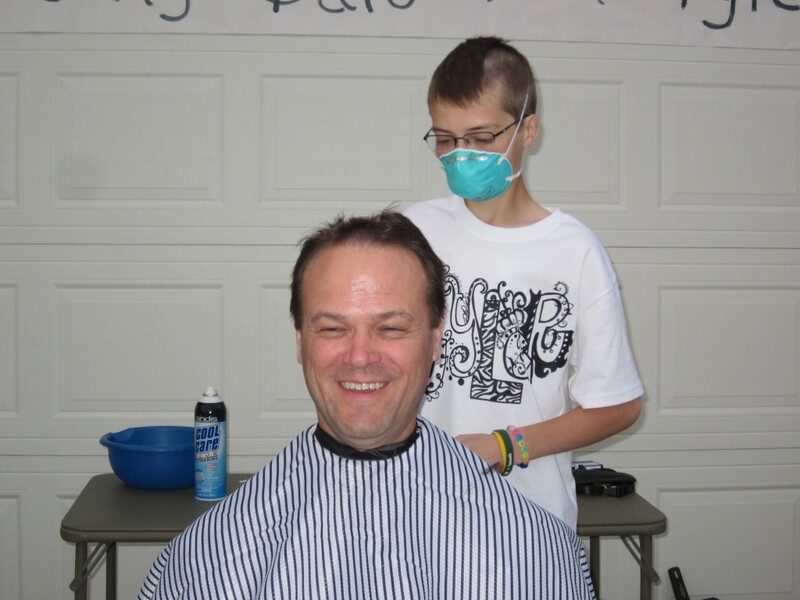 Tyler had no visible symptoms that led us to believe he was ever ill. The Doctors were not giving us much hope and Tyler was scared to death. It was a lot of grim news for anyone to hear, let alone a 14 year old boy.